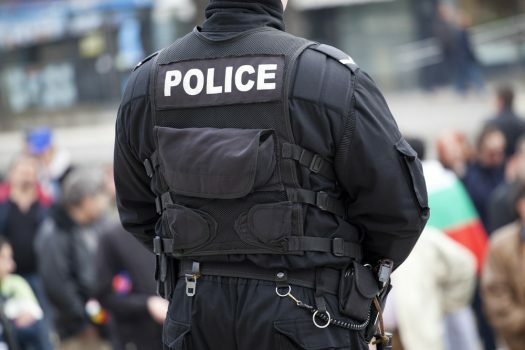 In Kaminskas v. State (NJ, 2019) the Supreme Court of New Jersey held that each county — not the Attorney General — is responsible for defending and potentially indemnifying its police officers. The court’s decision was unanimous. Lieutenant John Kaminskas and Chief Daniel Vaniska, who were both members of the Union County Police Department, requested defense and indemnification by the Office of the Attorney General (Attorney General) in a civil action brought against them for alleged investigatory and prosecutorial misconduct. The civil action arose from the 2006 arrest of Emmanuel Mervilus. Facing charges of robbery, aggravated assault, and a weapons offense, Mervilus agreed to take a polygraph examination and stipulated to its admissibility at trial. Lieutenant Kaminskas administered Mervilus’s polygraph examination. At trial, Lieutenant Kaminskas testified that he frequently administered polygraph examinations on behalf of the Union County Prosecutor’s Office (UCPO) because it did not employ a polygraphist. At the time Lieutenant Kaminskas administered Mervilus’s polygraph examination, Daniel Vaniska was Chief of the Union County Police Department. Lieutenant Kaminskas testified at Mervilus’s trial as the State’s polygraph expert. He testified that polygraph tests differentiate reactions of persons who are “telling the truth” and those who are “lying” and thus innocent or guilty. He testified that polygraph examinations are “not just a lie detector [but] also a truth indicator.” He further testified that in his opinion Mervilus “wasn’t telling the truth.” While a jury convicted Mervilus of first-degree robbery and aggravated assault, the Appellate Division reversed his convictions and remanded the matter for a new trial. It found that Lieutenant Kaminskas’s testimony was improper because it may have led the jury to “perceive polygraph evidence as infallible” and to “give it disproportionate weight in deciding to convict or acquit.” On remand, Mervilus was retried and acquitted of all charges. Mervilus filed a complaint against Lieutenant Kaminskas, Chief Vaniska, and two Union County prosecutors, among others, asserting claims for wrongful prosecution and conviction. The complaint alleged that the polygraph examination and Lieutenant Kaminskas’s testimony were contributing causes to his wrongful conviction and prosecution. The Attorney General agreed to defend and indemnify the county prosecutors but not Lieutenant Kaminskas or Chief Vaniska. The Attorney General noted that Wright v. State requires it to defend and indemnify county prosecutors in appropriate circumstances but does not extend to county police officers. In addition, the Attorney General asserted that N.J.S.A. 40A:14-117 requires each county to defend its police officers. The Appellate Division agreed. The New Jersey Supreme Court affirmed the Appellate Division decision. “Under N.J.S.A. 40A:14-117 and N.J.S.A. 59:10-4, the Legislature has provided that each county — not the Attorney General — is responsible for defending and potentially indemnifying its police officers,” Justice Faustino Fernandez-Vina wrote on behalf of the unanimous court. According to the court, N.J.S.A. 40A:14-117’s imposition of a duty of defense upon the county of employment clearly governs. “Because the Legislature has clearly identified the county of employment as the entity responsible for defending and indemnifying county police officers, our inquiry ends,” Fernandez-Vina wrote. The court went on to reject the officers’ argument that they are entitled to defense and indemnification by the Attorney General based on “the same theory of Wright” because they were “non-state employees who were acting as an ‘arm of the State.’” Extending Wright’s function-based to the officers would “frustrate the detailed liability structure the Legislature has enacted, which delineates and allocates the responsibilities to defend and indemnify different categories of employees to specific government entities,” Fernandez-Vina wrote.